What do you understand by an arcade game? Is it a simple video game or something special other than that? Yes! An arcade game is a video game or electromechanical game having short levels and which increases rapidly in difficulty level and offers simple and intuitive controls. The difficulty level of those kind of games is high, so that the players reach a game-over state and are eager to play again and again. Such kind of games is demanded by the younger generation. Therefore, keeping those players in the mind, an amazing game has been developed which is super-addictive and will relieve all your stress. It’s none other than Cube Brothers, which has been released in the month of August, recently. Cube Brothers has been offered by Gekko Games, which is a famous company known for developing so many categories of games. You know that Google Play has something for everyone and so as the Cube Brothers. The app is compatible with all the devices having the latest version of the Operating System. 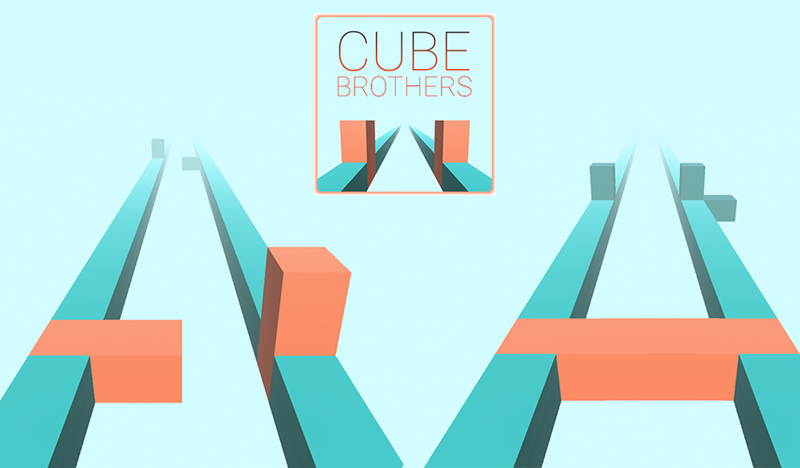 Cube Brothers is an engaging and addictive enough to keep the players playing. It’s an arcade and brothers’ spirit game. It mainly focuses on the gameplay rather than the content and story. When you begin, there is a simple path where 2 objects have been placed and what you have to do is to manage those objects at the same time and drop at the right time by skipping the moving objects. It means that you have to save the objects from collision otherwise the game will be over and you’ll have to restart again. You must be wondering that is a simple and easy gameplay. Wait, before assuming anything, read the full description of the app. 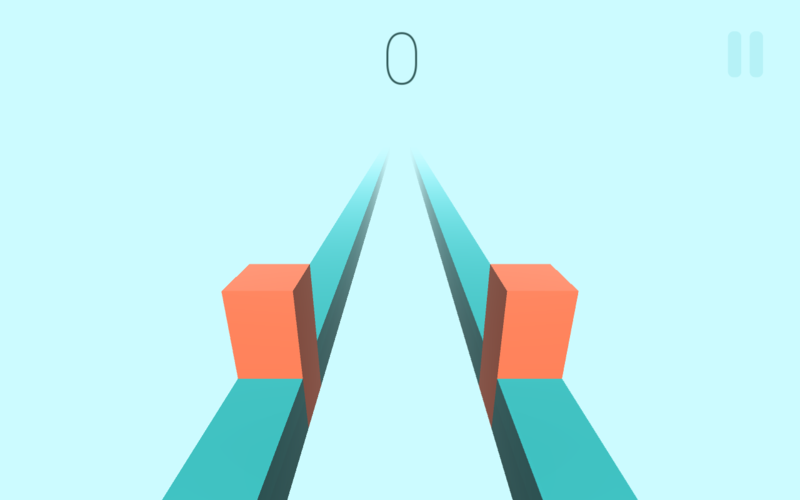 The game has a little twist, it will actually test your excellent reaction and finger speed also. You should only focus on the game rather than on other things and move the objects in the left or right side, wherever necessary and prevent them from colliding the upcoming objects. The more you’ll react faster, the more you’ll earn coins. If you need coins and don’t have much then, don’t get worried, you can go the Home section and watch a video and it will give you 50 coins which you can use further in the gameplay. 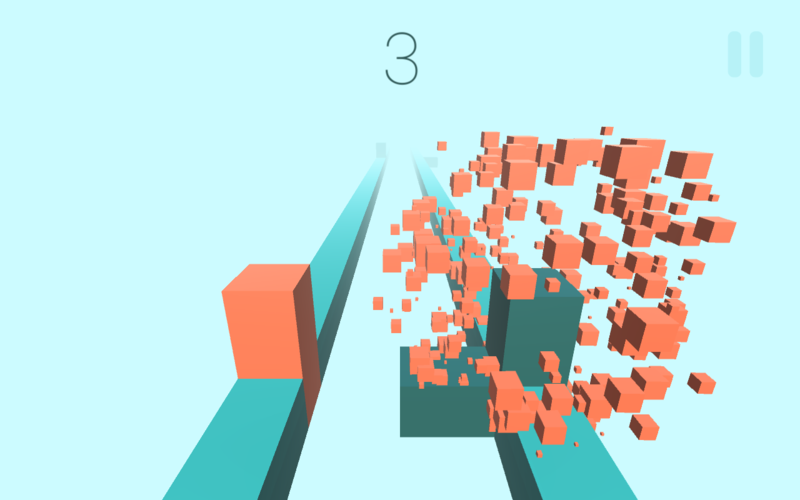 Cube Brothers offer intuitive and simple controls with simple physics. Moreover, it has short levels, which become increasingly difficult as the game progresses. Furthermore, the graphics of the application are minimalistic and simple. Overall, Cube Brothers is a simple one-touch control game. You can compete this game with your friends and enjoy defeating each other. You must play this game in your leisure time whenever you feel bored. This game will relax your mind and hopefully you’ll enjoy the game. When you’ll play the game, it will give you an aesthetic pleasure with the audio as well as the video quality. So forget the stress and focus on the gameplay. The app is available on the Google Play Store. However, the app includes some ads, but, they are not disturbing at all. Pros: engaging game; arcade; easy yet challenging; simple graphics; great sound effects; addictive; one-touch game play; free.